The survey was conducted in cooperation with the Mission of the Friedrich Ebert Foundation in Ukraine & Belarus. On Tuesday, 11 July, at 12:30, Gorshenin Institute will host a presentation of the results of a sociological survey "Ukrainian Society and European Values" conducted by Gorshenin Institute in cooperation with the Friedrich Ebert Foundation Mission in Ukraine & Belarus. What are the views of Ukrainians about European values? Do Ukrainians share the basic principles of the European community? How does the notion of European values depend on the region of residence and age? Does the notion of European values correlates to what kind of foreign policy a person supports? How are the views of Ukrainians about European values formed? · Kostyantyn Matviyenko, philosopher, writer, publicist. Moderator – Natalia Clauning, Communications Director, Gorshenin Institute. 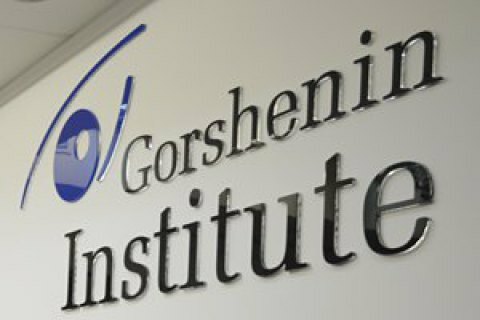 Any media coverage of the event must mention Gorshenin Institute as its organizer. The address of Gorshenin Institute: Kyiv, 18b Mala Zhytomyrska St. (entrance through the arch from Mykhaylivskyy Lane).